Your mistake as a startup shouldn't be that you woke up at the junction and realized that you had your T-fare but didn't know where you where headed. I've heard people say, often that money can thrive a business but without a good idea, the business will still die. Well, this could be true in a sense but not entirely; after all it's a mere expression of opinion not an exertion of fact. However, it is necessary to embrace the other end of this judgement that a wonderful and life changing idea could fade and die due to the low financial status of the idea-carrier or perhaps lack of adequate funds. Obviously, only a hand-grasp of businesses start big, the many others start small if not from scratch. This learning process will take you through the funding opportunities as well as stages that startups needs to take to fund their business. Your mistake as a startup shouldn't be that you woke up at the junction and realized that you had your T-fare but didn't know where you where going. 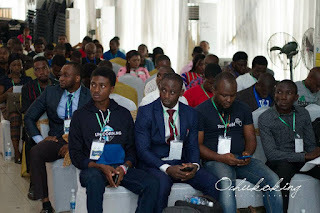 All am trying to say is that Startups should understand the nature of business they are venturing into, see it from a bigger lens and ascertain its financial cost. You know, many businesses only started with just a faction of the kind of business they have in mind. The whole image only becomes bigger when the business grows overtime. It is at this point (the junction) that the mindful takes the lead in the game. Knowing your business helps you establish the cost of resources needed to build the business, especially before the intervention investors and other areas of funding you look forward to. This simply means that startups could begin their business journey with their personal savings without seeking for external financial intervention. In this case, they depend on their own earnings and are very conscious of their financial spending. Bootstrapping is actually advisable for startups. However, it limits the business especially at the early stage. Startups can equally raise funds for their business from their family members or even friends. The good side of this method is that Startups have little or nothing to worry especially concerning interest rate and other financial charges relative to other external fund sources. Startups can also benefit financially from individuals who pull their resources towards funding and building a small business and subsequently co-own the business or expect returns as the business grows. Ofcourse this opportunity has its positive and negative sides. Startups can aswell seek help from investors. These set of people offer financial help to growing businesses with the aim of getting returns afterwards. One issue with investors is that there could be cases of high interest charges which could be a burden to Startups. These are basically the funding opportunities available for startups. Whichever one you may choose, it is needful to understand the terms and conditions surrounding each of them. Then Startups can draw a margin and soar.